Sesame Yuba Noodles — Always Plant-Based. Always Delicious. Hodo. You’ve been warned: these are addictive in the most delicious way possible. And we promise not to judge when you go back for seconds (or thirds!) of these creamy, nutty, tahini-y hand-cut yuba strips. “What the heck is yuba?” you might ask. It’s the nutrient-dense layer of cream we lift off the top of heated soy milk and turn into a protein-packed dream of a “noodle.” Seriously, they’re life-changing. 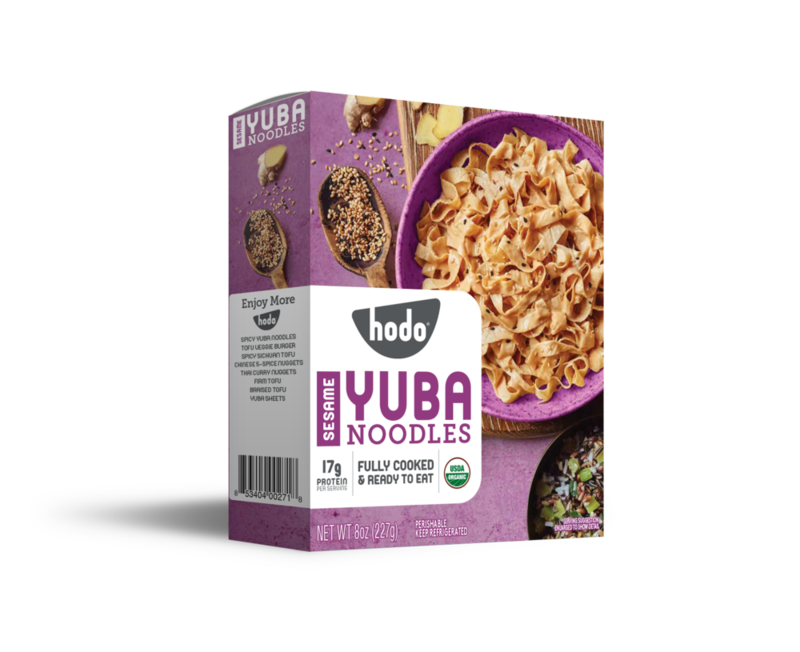 Hodo Organic Yuba* (Water, Organic Soybeans), Water, Tahini* (Sesame Paste*), Gluten-Free Tamari* (Water, Soybeans*, Salt, Alcohol*), Rice Vinegar* (Water, Rice*), Sugar*, Sesame Oil*, Brown Sugar*, Cornstarch*, Soybean Oil*, Garlic*, Ginger*.